Today is St. Patrick's Day. my Green Irish Shamrocks aren't planted yet and I don't wear anything green to take a picture of. 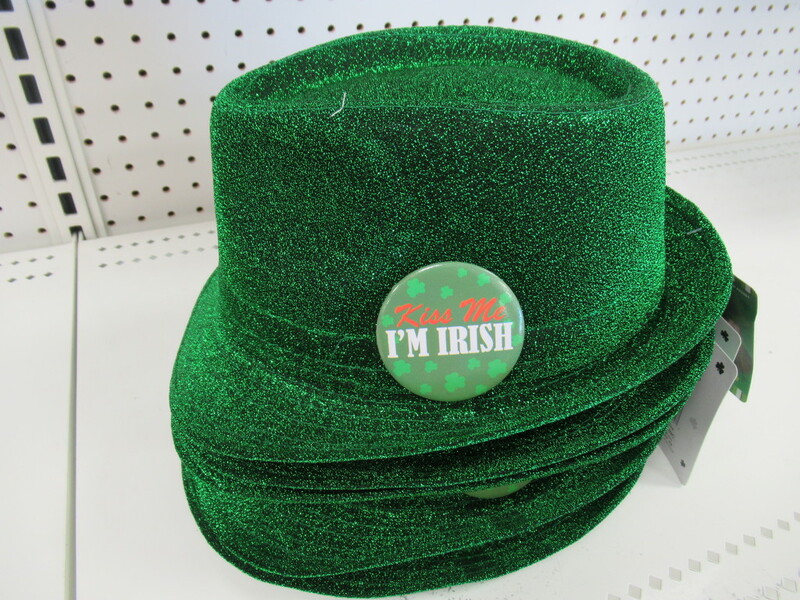 when I saw these green hats I thought right away Rainbow. will have to wait till the 21st. to post it again. These hats look good on anybody, male or female! Great find! Happy st. Patrick's Day, Bruni. I think there were a lot of kisses going around yesterday!